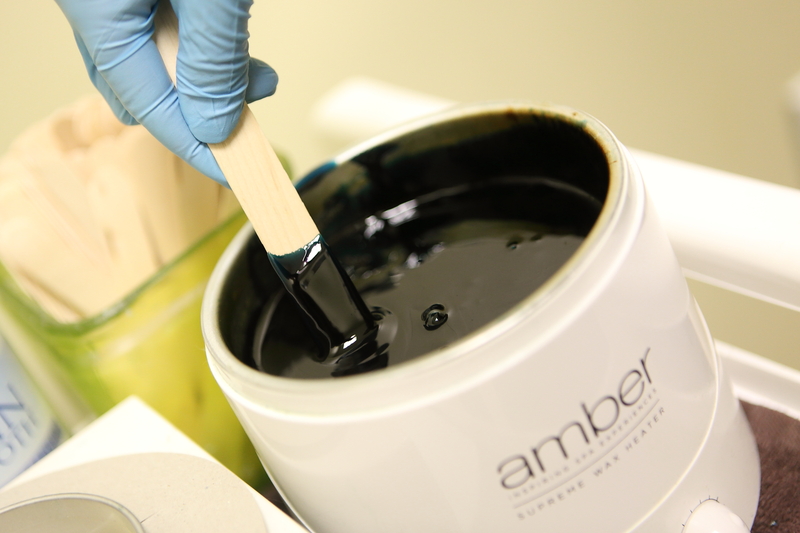 More Waxing FAQs: Your most delicate questions answered! 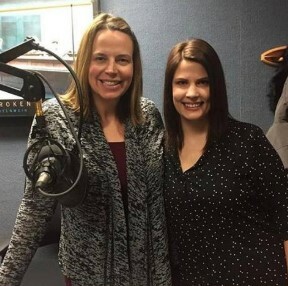 Our friend Colleen from Star 102.5 and I chatted awhile back about how it seems like all of a sudden lots of women our age (and quite a bit older) are starting to get bikini and Brazilian waxes regularly. Colleen invited her East Village Spa esthetician Camille to visit with her on air to share a few pointers with her listeners who might be considering getting waxed for the first time. We wanted to share the info with you too since we didn’t have time to cover it all on-air. Plus we know that your most burning questions might have been to delicate for a morning radio show. Q: Isn’t bikini waxing just for twenty-somethings? A: Maybe that used to be the case, but we see lots of women who are older, even grandmas, in for regular maintenance bikini and Brazilian waxes! First of all, hair starts to migrate as we age so while someone might not have felt the need to wax at 22, they might notice more hair creeping further down their legs in their 30s or 40s. Second, women wax for many reasons, whether because they like the look or they like not worrying about stray hairs when they wear a swimsuit. We find it is popular with busy moms and athletes who feel like they get less irritation from workouts like running and biking without hair. Shaving is really hard on the skin so many women are just ready to be done with razor burn. A: Yes! But we all agree that the more you wax, the less it hurts. Your skin becomes used to it and your hair grows back finer over time. A product like the Relax and Wax “no scream cream” applied 45 minutes before a wax service can help dull the sensation. Most of us feel like waxing hurts way less than painful razor burn. Q: I’ve shaved forever, do I actually need to grow out my hair to wax? A: According to Camille, you will need at least 1/4 inch of hair for the wax to work (most people can do this in 2 weeks). If your hair has grown 3-4 weeks, you’ll get a better result because the hairs on a different growth cycle will have had time to catch up. Q: What about my “backside?” Do people really wax that? A: The majority of people who get Brazilian waxing wax the back side as well. To quote one of our team members, “It looks odd if you wax the front and not the back.” Our estheticians have been waxing many years and guessed that 95% of Brazilian wax clients opt to wax the backside during a Brazilian. Many first-timers are most freaked out about the backside before their visit, but all of our estheticians agreed it is the easiest spot for them to wax, and the least painful for the client. One of our estheticians also wanted to reassure self-conscious guests that in 6 years of waxing she has seen lots of rear ends and the space between the cheeks looks about the same on every single woman and this is no big deal for your esthetician. Q: Do I need to get on all fours if they wax my backside? A: At East Village Spa, our estheticians prefer having the client stay on their back but bring their knees up to their chest when doing the backside. They only use the “all fours” or other methods like side-lying for reaching the backside for women who can’t bring their knees to their chest (for example, someone who has had a hip replacement or who is farther along in a pregnancy). Q: Is the esthetician there when I undress? A: No, you will have privacy to disrobe from the waist down and your esthetician will leave you with a cleansing wipe to thoroughly clean the area to be waxed. You’ll be able to drape yourself with a towel for modesty while she re-enters the room, but she will remove the towel while she’s working. Q: Is it weird for the esthetician doing my wax? A: Camille said this is the number one question her first-timers ask and she has been waxing for years and sees it as a part of her job to help people with skin care and grooming, very much like it is normal for a doctor to examine and treat people. Camille typically sees 10 or more Brazilian wax clients each week; sometimes 50% of the services she provides in a typical week are waxing services! She knows her clients appreciate her fast, safe, and professional services and she’s happy to be able to provide something that helps women. For more information, check out the FAQs section on our website here. Have other questions about female waxing or ready to schedule? Give us a call at (515) 309-2904 or book online here! This entry was posted in Frequently Asked Questions, Skin, The Spa Newbie, waxing and tagged bikini wax, Brazilian wax, waxing, waxing faq by Cassie. Bookmark the permalink. How much do you charge for pedicures, just want basic, and how much for eyebrow waxing? Hi! Our pricelist is available on http://www.evdayspa.com. Thanks! how old do you have to be to get a Brazilian wax? We require guests for all services to be 18 unless a parent or legal guardian accompanies them and completes a release form.